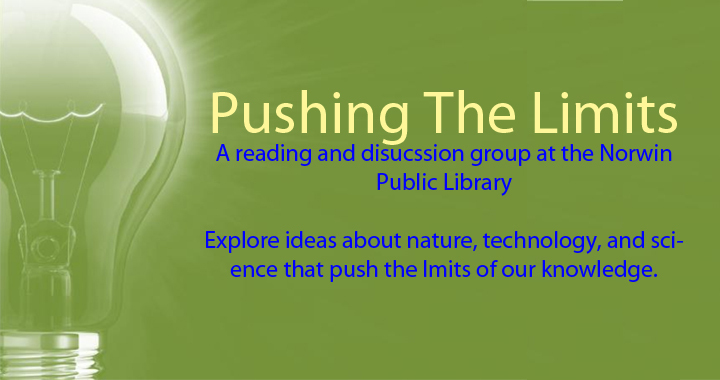 The “Pushing the Limits” Book Group meets to discuss books that explore ideas about nature, technology, and science that push the limits of our knowledge and reshape our understanding of the world around us. Past selections have included, Flight Behavior by Barbara Kingsolver, Thunderstruck by Erik Larsen, All the Light We Cannot See by Anthony Doerr, The Making of the Atomic Bomb by Richard Rhodes, and most recently, Planck by Brandon Brown. The group meets the first Tuesday of each month. Please call the library for more information. Brandon R. Brown. Thunderstruck / Erik Larson. Flight Behavior / Barbara Kingsolver. Posted in Book Discussion Group, Front Page Loop, Happenings and tagged Book Discussion Groups.